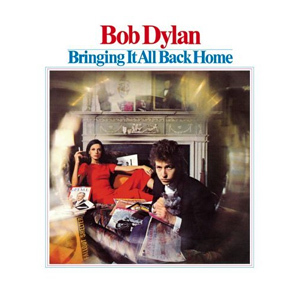 Released in March 1965, Bringing It All Back Home was the first Bob Dylan album to crack the top ten. It is a self-consciously two-faced album. The seven songs on the first side recorded with a backing band would anticipate the break that Dylan would have with the folkies come summer, while the four solo acoustic songs on side two would wrap up a transformative career in folk music. Let’s start with side two. This is as great a side of an album as you’re going to find anywhere. Four songs, and they’re all fantastic. “Mr. 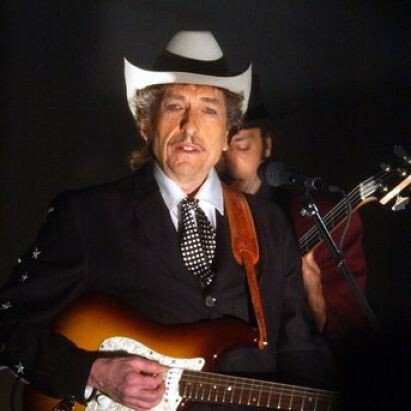 Tambourine Man” is a song that Dylan had been performing for the better part of a year when he released it. Recorded for, but not used on, Another Side of Bob Dylan, this is a truly transformative pop song, stretching the limits of what could be done lyrically with the format. Already a hit for The Byrds by the time the album came out, this is one of Dylan’s most iconic songs. “Gates of Eden” is another masterpiece that Dylan had been performing for quite some time, one of the most beautiful songs he’s ever written. In late 1964 Dylan was introducing “It’s Alright, Ma (I’m Only Bleeding)” with the subtitle “It’s Life and Life Only” (a line from the song). Another hauntingly apocalyptic song, Dylan would do a number of fantastic electrified versions of this in the years to come. Finally, “It’s All Over Now, Baby Blue”. This may be my favourite Dylan song of all time. I’ll talk more about this in a couple of days, but I’ll just say that I’ve never heard a bad version of this song. Those four songs are all A+ material. The mark of a man who is breaking with the musical traditions that made him a star by elevating the folk song to the status of art. The first side, with its backing band, is not as good. Not bad, per se, but just not as good. We’re still listening to the rock star in a gestational period. “Subterranean Homesick Blues”, Dylan’s first single to crack the top forty, is monumental. “She Belongs To Me” is solid, and “Maggie’s Farm” (recorded in just one take) is tremendous. “Love Minus Zero/No Limit” is really strong, though, again, he’d later do better versions of this later in his career. The remaining three songs on the first side (“Outlaw Blues”; “On the Road Again”; “Bob Dylan’s 115th Dream”) are just sort of there. “115th Dream” is further proof that when Dylan put his name in his songs, they generally underwhelmed.